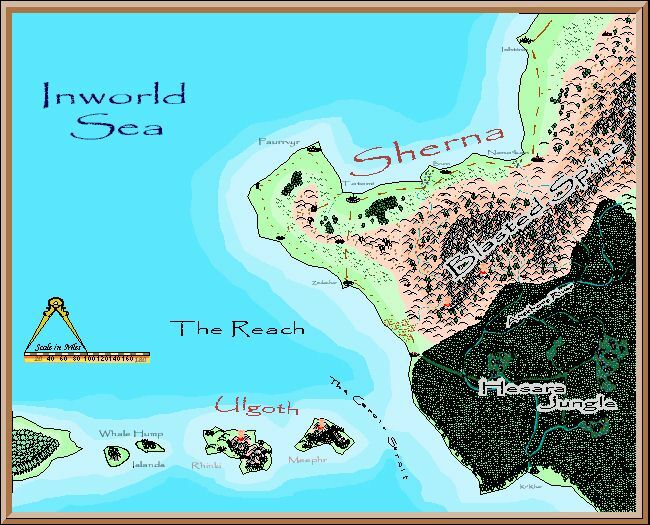 South and to the East of Breminor, across the Inworld Sea, are the chaotic lands of Sherna. Dominated by massive moutains and jungles, this tropical land is only for those with stout hearts and strong arms. Page last updated on 07 November 2000.